1. 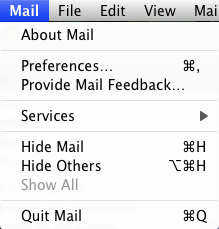 Open Mac Mail, click on the Mail button from the menu and select Preferences. 3. In the Full Name field, enter the name that your recipients will see when they receive emails from you and your email address in the Email Address field. Also, add the password for the e-mail account. On Account Type select IMAP/POP. Type a description such as 'My IMAP'. In the Incoming Mail Server field type mail.yourdomainname.com(Replace yourdomain.com with the actual domain). Type your full email address in the User Name field and the password in the corresponding field. In the outgoing field type mail.yourdomainname.com(Replace yourdomain.com with the actual domain). Tick both checkboxes for Use only this server and Use Authentication. 7. 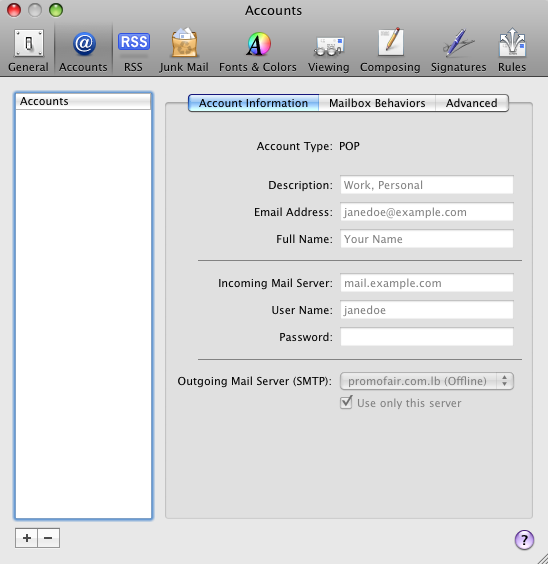 Once you click the Create button you will be able to send and receive emails from your Mac Mail client through your email account.